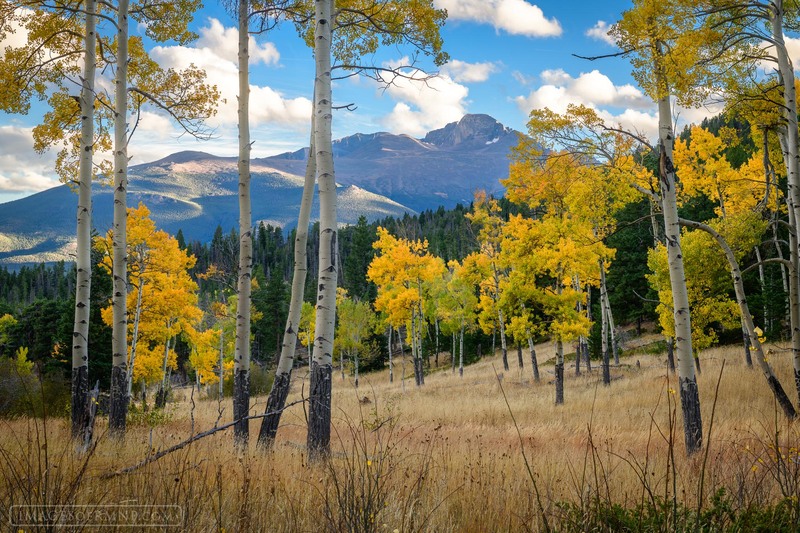 In the fall there is nothing better than lying in a grassy meadows smelling the aroma of the changing season while drinking in dramatic views of Longs Peak and listening to the sound of the leaves rustling in the wind. Surely this is what autumn was made for. Photo © copyright by Erik Stensland.